The 244L achieves an 8-ft., 3-in. (2.5 m) full-lift dump height and a full-turn tip load of 8,157 lbs. (3,700 kg), while the 324L with high lift reaches a 10 ft., 3-in. (3.1 m) height; and standard lift is capable of a full-turn top load of 9,766 lbs. (4,430 kg). The industry-exclusive Articulation Plus steering system on the 244L and 324L provides operators a combination of lift capacity and maneuverability. This feature includes an articulated frame plus rear-wheel steer, providing excellent full-turn tip load and stability with a tight turning radius, according to the manufacturer. Newly optimized linkage provides improved parallel lifting, with only 6 degrees of rollback. The 244L achieves an 8-ft., 3-in. (2.5 m) full-lift dump height and a full-turn tip load of 8,157 lbs. (3,700 kg), while the 324L with high lift reaches a 10 ft., 3-in. (3.1 m) height; and standard lift is capable of a full-turn top load of 9,766 lbs. (4,430 kg). To increase productivity, the new models allow operators to move faster without having to manually shift the machine. A smooth auto shift hydrostatic transmission is coupled with an automatic two-speed gearbox, which provides a faster travel speed of up to 23 mph — a 21 percent increase in speed over the K-Series models. Both models are equipped with 73-hp (54 kW) Final Tier IV engines. Knowing a comfortable operator is a productive operator, the 244L and 324L models offer a redesigned cab. 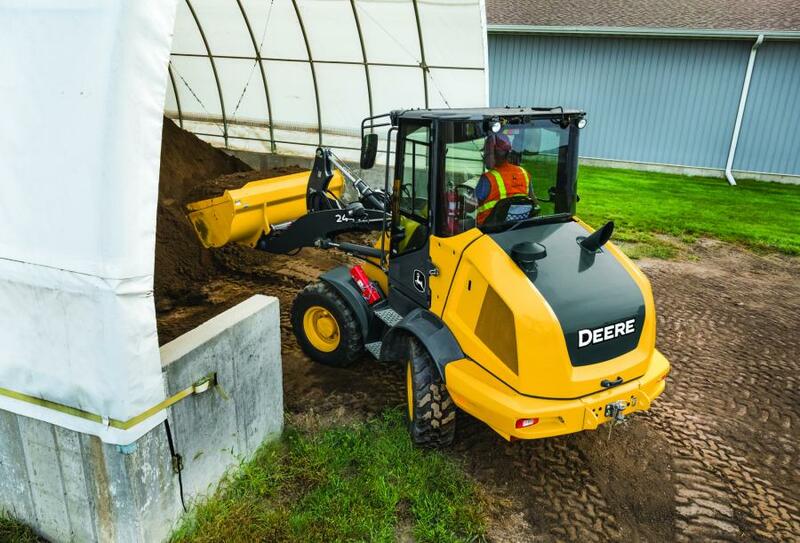 An optional air ride, high-back operator seat ensures a smooth ride.Better visibility to the loader arm and bucket, and interior layout of the switches and gauges improves overall efficiency. Contractors looking to get the most versatility out of their machine can leverage over 100 John Deere Worksite Pro attachments. 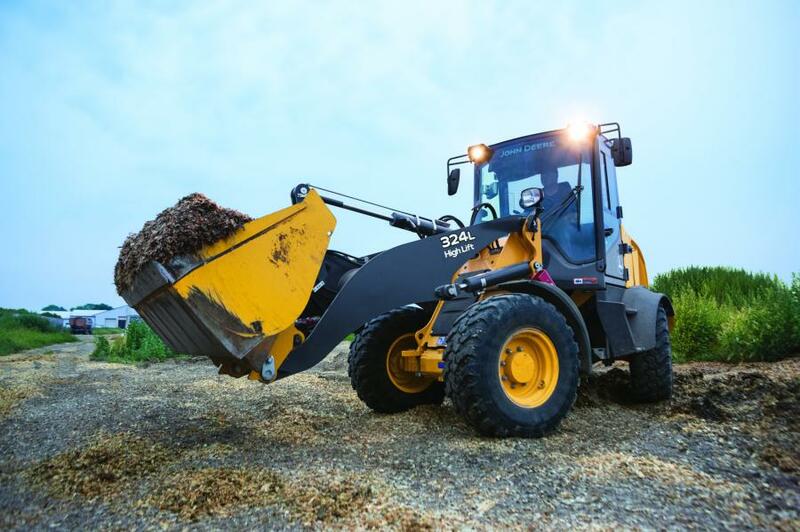 These new models also are backed by the John Deere full machine standard warranty, which promises to fix any defects in materials or workmanship for two years after delivery or 2,000 hours — whichever comes first.